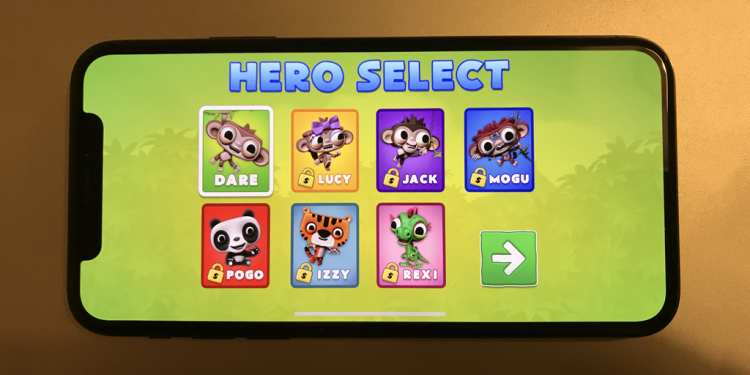 Dare the Monkey went live three months ago and for the first month, the money it was making from in-app purchases was pretty disappointing. Want to know if I could turn it around? Then read on. The last six weeks have been a bit of a blur. I’ve been working like a mad man to get the latest release of Dare the Monkey ready and I’m delighted to announce that it’s finally here. We’ve got a new update coming out soon and it includes some new features for the Apple Watch version of Dare. Getting a decent chart position for your game is hard. Especially if you’re an indie developer with very little budget for marketing. One thing that can help push you up the charts is a high number of quality app ratings and reviews. 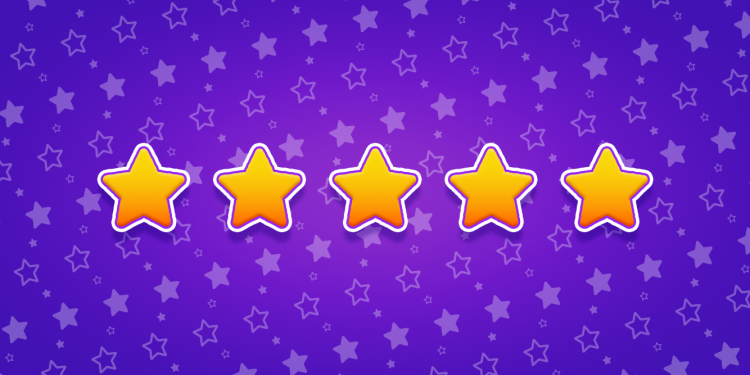 Not only do good app ratings encourage people to download your app but the ranking formula used by the App Store and Google Play also seems to take them into consideration. So how has Dare the Monkey been doing one month after launch? Really great actually. We’ve been featured on the App Store, had a very healthy number of downloads, and also received several thousand 5-star ratings. It’s safe to say things are going better than I dared imagine. Great news everyone! 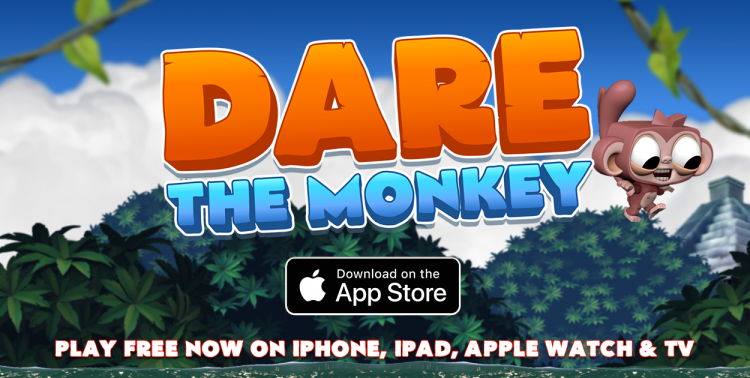 Dare the Monkey is now available on the Apple App Store for iPhone, iPad, Apple Watch, and Apple TV. Good news! 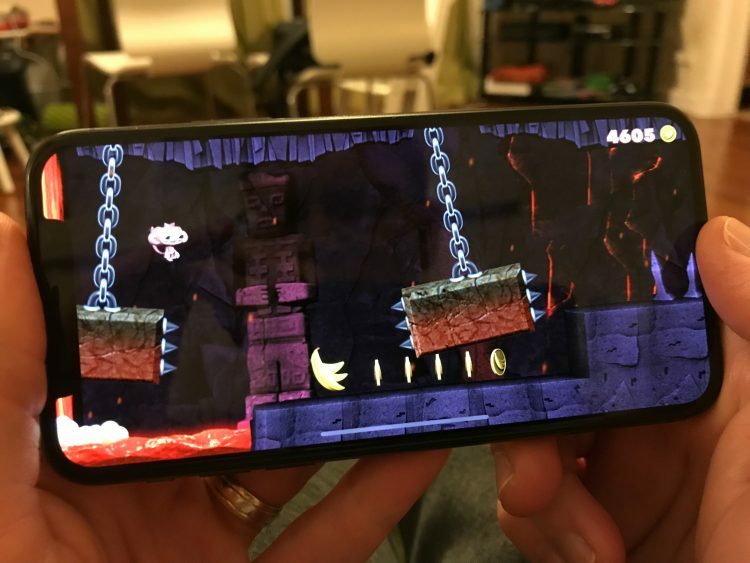 That’s Dare the Monkey up and running on the iPhone X. Yay! It’s taken a little longer than expected but I’m delighted with how it looks on the X’s stunning screen. The wider screen gives a much more immersive experience. So what’s been happening the last few months? The game’s almost ready for submission to the app store but I wanted to hold off and see if I could get Dare to run on the iPhone X. So here’s a video of level one running on actual hardware. I always loved the shuttle loop from Sonic the Hedgehog. 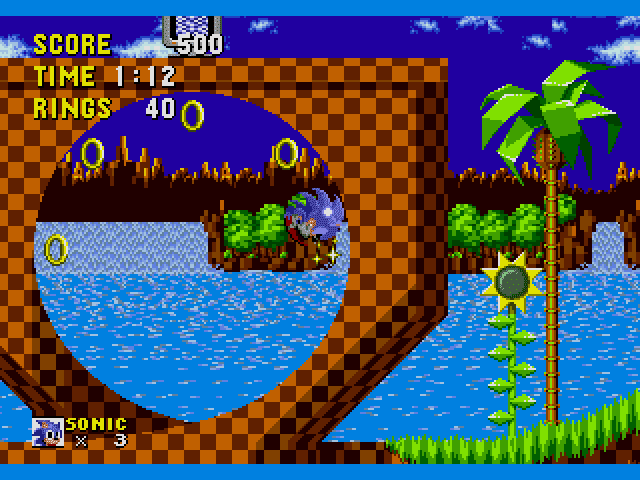 It’s such an iconic thing and I have vivid memories as a teenager encountering the loop for the first time in the Green Hill Zone. I might never come up with an idea as strong as that, but I thought I’d at least try and think up something for Dare that perhaps had a similar sense of speed and exhilaration. As always I sketched out a few quick ideas to see if anything would stick. Here’s one that did. I showed off a gameplay video on Twitter recently from one of my three Snowy Mountain levels. It was quite heavily compressed so here’s a high resolution version for your viewing pleasure.